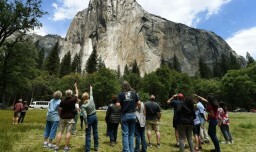 It’s been a good year for Yosemite National Park. After the world’s biggest tech company decided to name its operating system “OS X Yosemite,” it sent a wave of free advertising to the California park. The data seems to show that this simple, gracious branding strategy had a meaningful impact on one of America’s most cherished national parks.